Well, the matterport camera may have just taken over as my favorite. Here is the dollhouse view of Canyon Road Towers 401 and the dollhouse view it creates. Even this is amazing. From dollhouse you click on a room and you are taken there. You can move throughout the come as if you were right there. The photo below shows a room view. You can travel throughout the home, see it all, by clicking your way through the home. It functions similar to Google Streets. 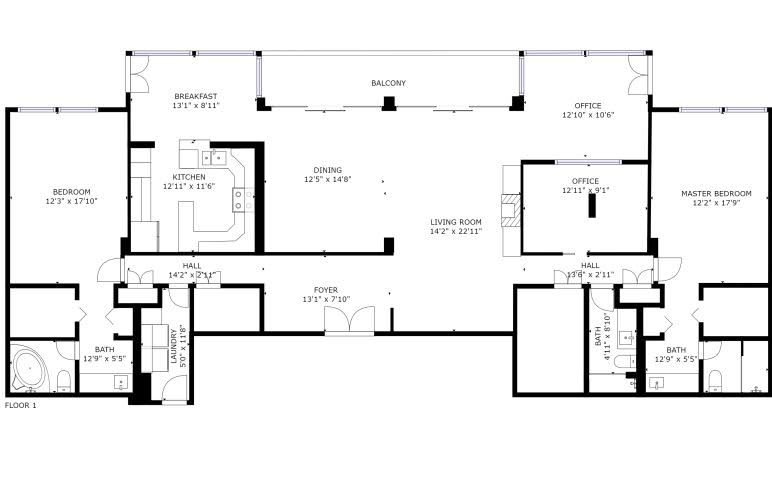 It also creates a to scale floor plan of the home. 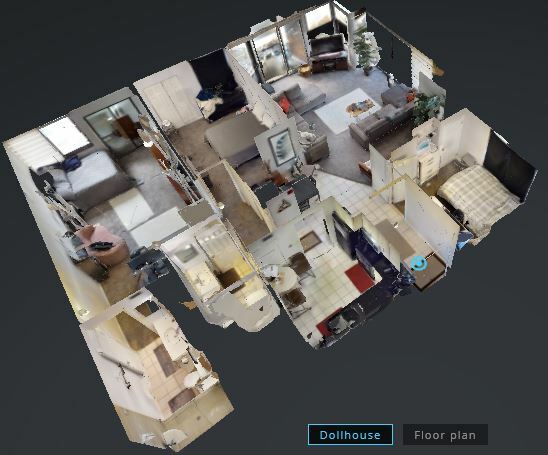 Don’t ask me how it does it, it seems impossible, but below is one of my listings plans that was created by matterport. How handy this is illustrated by a text I received this morning from the new buyer of Zion Summit 1004 who requested a floor plan to scale. Hot dog, where I often have to decline as they aren’t always available, he got this. I am still flabbergasted that this was created by a camera. My guess, is that you will insist on this service whenever you put your home on the market. It is now another of the standard marketing tools I provide my sellers. It comes at a cost to me, but it is so worth it. Here are two examples of the benefits because people can virtually walk through the home online. They see everything, ceiling to floor, wall to wall. More people can see it. I have sent the link out to 100’s of my contacts. I am getting feedback that they love it. Two have been forwarded to people out of the country. One is telling me they approve an offer being made and they haven’t even seen it. The second is a convenience factor. One negative thing is having people walk through your home day after day and hour after hour. Even when agents are instructed to give the seller a certain amount of notice it is not unusual to have someone knock on your door with, “I am sorry but my client wants to see it now?” Can we please do a last minute showing? Please, pretty please? What are you to say, you want to sell the darn thing. So many are just looky lou’s. Now they see it virtually on line before asking to see your home. The net result is that those that disturb you are pre qualified as to their interest. Another Windermere marketing benefit is its international reach. We are a member of one of the premier international marketing sharing groups who have a world wide reach of buyers. This is accompanied by our Living Magazine which is targeted to local and out of our market qualified buyers. I am committed to my clients and welcome the opportunity to assist you.